As a Reiki practitioner, there’s a strong chance you have encountered “chakras” at some point in your study, practice, or even in your search for additional resources to expand your skillset. Chakras, meaning “wheels of light” in Sanskrit, are “wheels”, or vortexes of energy, throughout specific points in the body. Chakras are believed to be the energetic and physical centers associated with specific emotional, spiritual, and physical sensations and experiences throughout the physical and energetic bodies. In order to create and maintain a balanced spirit and body, it is said that each of the individual 7 chakras and the entire chakra system must be aligned and free flowing; otherwise, various emotional, spiritual and physical ailments may develop. 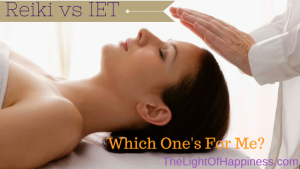 Below are a few personal picks and reviews of the best chakra books for your Reiki practice. How to Open Your Chakras After You’ve Studied These Texts? The Book of Chakra Healing by Liz Simpson and Teresa Hale Review: The Book of Chakra Healing is an excellent beginner’s guide to understanding, experiencing, and healing the chakra system for your self and for others. This is a beautifully illustrated, 144 page guidebook features easy-to-read and understand information, history, and resources on the chakra system, each individual chakra, and how other integrative healing methods can work with chakra. The Book of Chakra Healing is a fun and fascinating read, especially for beginners. I particularly enjoy its unique exploration of each of the chakras’ associated archetypes, guided visualizations and meditations for balancing each of the chakras, and recommendations for balancing the chakras using reiki, essential oils, crystals, foods, and altars. 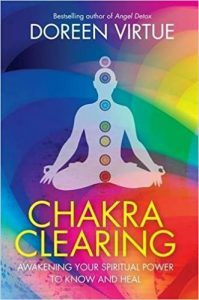 If this is your first time getting into the realm of chakra healing, this book absolutely must be your first book to pick up: it serves as an easy to understand reference for when you want to go deeper in your research and practice. The Book of Chakra Healing is truly a fundamental first-purchase for Reiki healers looking to expand their work. Wheels of Life by Anodea Judith Review: When you feel like you’re ready to really immerse yourself into a deeper realm with chakra healing, Wheels of Life is absolutely the next step in your study and practice. It’s also one of my recommended Reiki books. Wheels of Life is considered the gold standard, intermediate level book for chakra study and practice because it covers an expansive amount of information. Wheels of Life not only goes over the fundamentals on each chakra, but also integrates quantum physics and the human developmental phases in describing how our chakras are balanced, become imbalanced, and awaken at different phases in our lives and in response to different energies. Each chapter of Wheels of Life provides thorough and detailed insight into the meaning, location, element, body parts, sounds, deities, and energetic influences for each chakra – all of which will align and inform your work as a Reiki healer. Wheels of Life follows a reference-manual format, which makes it an essential component for studying and implementing its knowledge easily into your healing practice. Since we are also interested in healing the body as whole (and not just the sum of its parts) in Reiki, you’ll find that Wheels of Life is the only chakra book out there that discusses the chakra system as a whole as well. If you are looking for advanced study on the chakras, Wheels of Life is just for you. The Chakra Bible: The Definitive Guide to Working with Chakras by Patricia Mercier Review: If you are the type of healer who prefers a more hands-on, didactic, need-to-feel-it-to-see-it approach, this is the chakra book for you. The Chakra Bible: The Definitive Guide to Working with Chakras definitely lives up to its comprehensive name as a “guide to working with”. This book is made for all levels of chakra students, but gives special attention to those who prefer to experience and do first rather than read information and then try it out later. This detailed guide provides your typical informational introduction to each chakra, but then spends a significant amount of time on the how and less of the why of the chakras. The Chakra Bible: The Definitive Guide to Working with Chakras stands out from the rest by teaching readers how to work with their own chakras by getting in touch with them through various modalities, such as crystals, yoga, movement, aromatherapy, meditation, aura reading, and energetic techniques. 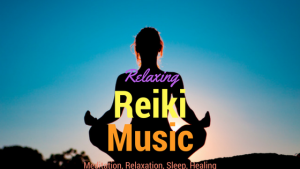 Additionally, this book features helpful charts and illustrations to show you how to do specific healing and balancing techniques, some of which are similar to Reiki healing. What’s also great about this comprehensive, hands-on guide is that it doesn’t require you to read the whole thing, you can pick and choose your own chakra adventure without having to read every single page. The Complete Book of Chakra Healing: Activate the Transformative Power of Your Energy Centers by Cyndi Dale Review: If your Reiki practice emphasizes and focuses a lot on energy, spirituality, and quantum physics, this is the chakra book for you. The Complete Book of Chakra Healing: Activate the Transformative Power of Your Energy Centers provides a very detailed, energy-driven approach to the chakra system that makes it an essential book to supplement any and all energy healers’ practice. This book features extensive information on the traditional seven chakras, the thirty-two chakra system, chakras and energetic bodies, chakras and energetic origins of disease, kundalini, meditation, and guided hand healing positions for each chakra. The Complete Book of Chakra Healing: Activate the Transformative Power of Your Energy Centers addresses chakra healing from an energy approach and provides numerous supplemental techniques to enhance your Reiki practice and your client’s experience. The Chakra Book: Energy and Healing Power of the Subtle Body by Osho and Osho International Foundation Review: This book presents a beautiful, traditional Eastern approach to teaching the reader about the chakras. If you are interesting learning more about the ancient history behind chakras, as well as its related systems seen in traditional Chinese medicine, Indian Ayurveda, as well as in dance, yoga, and martial arts, this is the book for you. The Chakra Book : Energy and Healing Power of the Subtle Body is for all audiences interested in learning about the chakras and gives a refreshing voice by rooting its knowledge back to the traditional, ancient texts and ways on the chakras, accessing them, detecting them, and healing them in our bodies and in others. If you are a devout Kundalini Yoga practitioner, you’ll be especially welcomed by this book as it also covers how the chakras are activated in traditional Kundalini Yoga practice. If you are looking for a more traditional, Eastern medicine and historical lens for your chakra work, I recommend you begin with this book in your journey. The Book of Chakras: Discover the Hidden Forces Within You by Ambika Wauters Review: If you are new to Reiki and energetic medicine, this is the chakra book for you. The Book of Chakras: Discover the Hidden Forces Within You is the ultimate beginner’s guide for the novice in the field and practice of Reiki and energetic medicine. This book covers in substantial detail in really easy to read, understandable and practical terms about the links between mind, body, spirit and how the chakras are a part of this systemic connection in and outside of our bodies. If you are just beginning your journey as a healer or are interested in this field, I highly recommend The Book of Chakras: Discover the Hidden Forces Within You to you as an essential pre-requisite to all of the above recommendations. The Sevenfold Journey: Reclaiming Mind, Body and Spirit Through the Chakras by Anodea Judith and Selene Vega Review: If you were a big fan of Wheels of Life, you will absolutely love The Sevenfold Journey: Reclaiming Mind, Body and Spirit Through the Chakras! This is the author’s second book and it covers even more material (if you can believe) than her prior classic. The Sevenfold Journey: Reclaiming Mind, Body and Spirit Through the Chakras goes into exclusive depth on how combining yoga, bioenergetics, journaling, dance, meditation, movement, ritual, and even psychotherapy with chakra healing can open up and create incredibly powerful transformative healing experiences. The Sevenfold Journey: Reclaiming Mind, Body and Spirit Through the Chakras features content and information that was previously limited to the author’s exclusive, in-person workshops. As a result, this book has a lot of instructional techniques, guides, graphs and step-by-step guides for a very hands-on approach to the chakras. If you are looking for an easy to follow, step-by-step hands-on approach to the chakras, consider giving The Sevenfold Journey: Reclaiming Mind, Body and Spirit Through the Chakras a read. Chakra Balancing: A Guide to Healing and Awakening Your Energy Body by Anodea Judith Review: Chakra Balancing is a multimedia, interactive technical and practical kit for learning, experiencing, and practicing chakra detection and healing techniques. Chakra Balancing features a comprehensive 102-page workbook with informational exercises, activities, meditations, reflection questions, journaling, and prompts; CDs with seven beautiful and inspiring guided meditations; a seven-chakra oracle deck for meditating on the ‘chakra of the day’ pull; and a beautiful box to store all of these goodies. Chakra Balancing stands out from the rest not only because of its comprehensive kit-format, but also because it provides tools that would be excellent in an instructional setting and practice (especially if you hope to teach others about the chakras, even if its your own Reiki clients!). Chakra Balancing is a beautiful addition for the Reiki teacher and for those who work or own their own healing centers. Chakras and Their Archetypes: Uniting Energy Awareness and Spiritual Growth by Ambika Wauters Review: Chakras and Their Archetypes: Uniting Energy Awareness and Spiritual Growth approaches the chakra system through a particularly unique and refreshing lens: psychological archetypes. This book links the classic archetypes in Western psychology and classical myths to the seven chakras in order to teach the reader how these different areas act and behave. This book uses beautiful, rich and illustrative language to describe the chakras as a passionate series of behavioral patterns that are encountered throughout our lives and what types of reciprocal archetypal behavior we need to engage in should we like to heal ourselves and others. Chakras and Their Archetypes: Uniting Energy Awareness and Spiritual Growth is a pretty unique book in the realm of chakra literature, which is why I particularly enjoyed its approach and find it relevant for healers who like incorporate archetypes and Jungian behavior theory into their energy healing work. This book also features a diverse set of exercises, meditations affirmations, and reflection questions to help the reader on their archetypal journal throughout the chakras. Chakra Clearing by Doreen Virtue Review: Doreen Virtue is no stranger to any modality or system in the healing realm. Even if you are just getting into the realm of energy healing, chances are you have encountered Doreen Virtue’s work, particularly oracle cards. If you are interested in a warm, interpersonal and aerial-view approach to the chakras that feels like talking to a good friend of yours, I recommend investing in Chakra Clearing. This book specializes in guided meditation and visualization for understanding and working with chakras; and, also provides a really lovely self-guided meditation CD featuring Virtue herself. 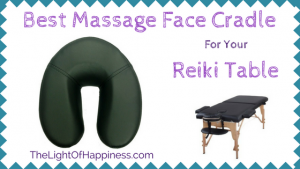 Additionally, these meditations like to work with angels, faeries, spirit guides, and ancestors in chakra work; so, if this is a huge component of your Reiki practice, this is a must have for your healing toolkit. Llewellyn’s Complete Book of Chakras: Your Definitive Source of Energy Center Knowledge for Health, Happiness, and Spiritual Evolution by Cyndi Dale Review: This is the largest book out there on the chakras, with over 1,050 pages of instructional text, informational guides, charts, illustrations, and references for additional consideration for any and all readers interested in working with the chakras. Llewellyn’s Complete Book of Chakras: Your Definitive Source of Energy Center Knowledge for Health, Happiness, and Spiritual Evolution unpacks the science, practice, history and various structures of the chakras in the physical and energetic bodies. If you are overwhelmed at all the options for chakra knowledge and aren’t sure what will differentiate your growth as you dive deeper, I recommend just getting this book above all the others. It is considered the definitive, gold-standard for all chakra information and it is also frequently updates to include the latest scientific findings, healing techniques, and any other resources that are popular in the healing realm. A Handbook of Chakra Healing: Spiritual Practice for Health, Harmony and Inner Peace by Kalashatra Govinda Review: Reiki Masters absolutely love this book because of its spiritual approach to the chakra system. A Handbook of Chakra Healing: Spiritual Practice for Health, Harmony and Inner Peace stands out from the rest because of its spiritual and mindfulness based approach to working with the chakras. This approach is extremely similar to the Usui Reiki principals (“Just for today, do not worry; just for today, work hard; just for today, love your neighbor; just for today, do not anger”) and is a beautiful accompaniment for the devout traditional Usui Reiki student and/or Master who integrates the practice with their spiritual beliefs. As the title suggests, this book is very much a handbook and is chock full of instructional techniques, guided meditations, and exercises for you to enjoy. Chakra Healing: A Beginner’s Guide to Self-Healing Techniques that Balance the Chakras by Margarita Alcantara Review: This is absolutely a recommended book for our fellow Level I Usui Reiki practitioners out there. Chakra Healing: A Beginner’s Guide to Self-Healing Techniques that Balance the Chakras directly aligns with the self-healing hand positions and techniques covered in the Level I attunement process and practice. If you are either about to be a Level I Usui Reiki student or are currently one, Chakra Healing: A Beginner’s Guide to Self-Healing Techniques that Balance the Chakras is a beautiful guide that works perfectly with all the content you’ll learn and come to master on your Reiki healing journey. This book features a chakra-by-chakra guide to each one, along with interesting facts and exercises to promote and foster incredibly powerful healing for you. As Reiki practitioners, it is our job to unite the mind and body to maximize our energetic healing abilities for our clients. Chakras are a part of the systems we work with in order to bring healing. Whether you are a new or seasoned practitioner, the literature out there can be overwhelming. 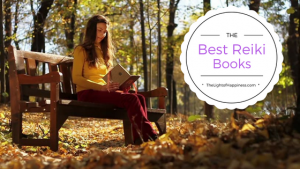 When selecting the best chakra book to add to your growing library of instructional healing books, there are some key considerations to take before you make the commitment. Each of the above books is well known and highly valued and is typically found in your local library, should you prefer to try before buying. All of the above books are a balanced blend of instructional, hands on, and are inclusive and approachable for all levels of Reiki practitioners and healers looking to get into new content to supplement their practice. Simply reading about the chakras isn’t going to do enough for making major transformations for your physical and energetic wellbeing when it comes to the chakras. You’ll need to incorporate a regular, ritualistic practice that addresses every entry point for your chakras on a daily, weekly, and monthly basis. Nearly all of these texts on the chakras include a whole ton of information on the various energetic and physical contributions to chakras being over or under active, both long and short term. Making the choice to activate and strengthen your chakras requires a devout and intensive commitment to using all of the following techniques to open your chakras: meditation, affirmations, special foods and spices, visualization, movement, essential oils/scents, thought monitoring and journaling, as well as an intentional withdrawl from the things that are no longer serving you. Meditation: Meditation is a powerful tool for quieting the mind and focusing on your energetic and physical bodies. 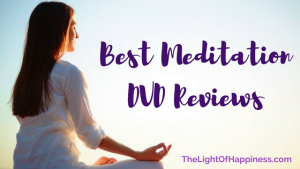 You can begin meditating wherever you are with assistance from meditation music, or a meditations DVD at home, if you prefer a catalyst to helping you find your zen. Meditation is a starting point for understanding how your own chakras feel in and outside of your body, as your energetic awareness becomes increased. Write down anything that comes up for you during this experience. Affirmations: Sometimes it is difficult to open ourselves up to opening our chakras. Writing and saying affirmations daily is a powerful way to get your mind and body warmed up to the process of experiencing and opening up your chakras. Special Foods and Spices: That’s right! There are special foods, spices, and recipes that are believed to activate the chakras. Each of the books above speaks to this in greater detail, but it is believed that the energy work also requires a substantiated physical counterpart in what we consume, including our food! Visualization: Just like meditation, visualization techniques offer a beautiful, imagery-focused component to focusing on what our chakras look like, which can gives us some insight on how open and closed they are. Movement: Dance, yoga, martial arts, and some light stretching can focus on certain body parts and areas that are aligned with the chakras as well. Similar to foods, certain physical components like movement, are absolutely necessary for opening certain chakras. Essential Oils and Scents: Certain smells, incenses, and essential oils are said to create an energetic and physiological response that open up the chakras as well. Withdrawing from Things: It’s not just about doing more – opening the chakras also means doing less, especially if it is toxic to you and others. Thought Monitoring and Journaling: These are powerful techniques for documenting how your chakras are currently doing and what thoughts, actions, and words you use that give or detract power from your chakras. I am excited to support your journey with chakra healing work. This ancient energy system promises incredibly powerful and transformative results. Enjoy every step of the way, hopefully under the guidance of some of the best chakra books in circulation.